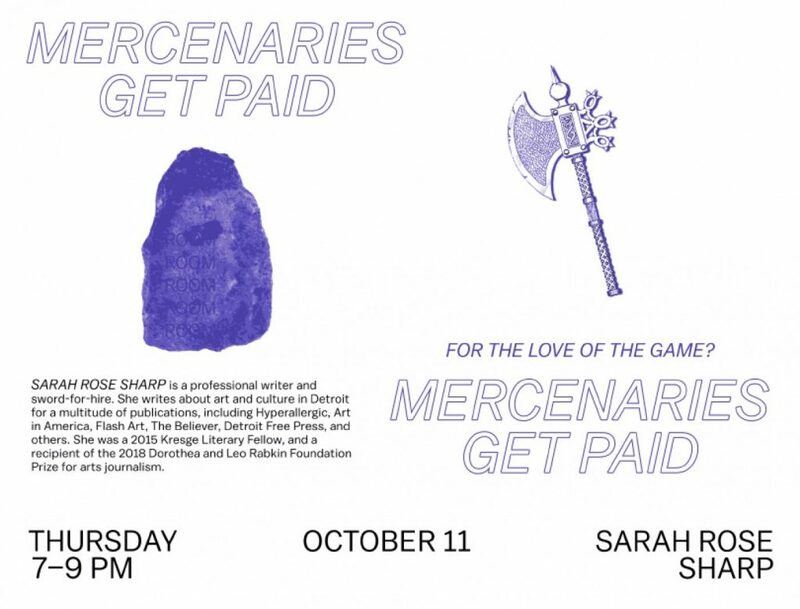 MERCENARIES GET PAID: Professional Skills Workshop @ Room Project THIS THURSDAY! Thursday, Oct. 11, 7 p.m. – 9 p.m. The word “freelance” first came into vernacular usage sometime around 1800, appearing in the literary world in The Life and Times of Hugh Miller by Thomas N. Brown (1809) Ivanhoe written by Sir Walter Scott in (1819). In both cases, the term refers to a mercenary soldier, who hires out his weapons and his fighting acumen in the service of a paying employer, rather than fighting based on national or regional loyalty or permanent affiliation. 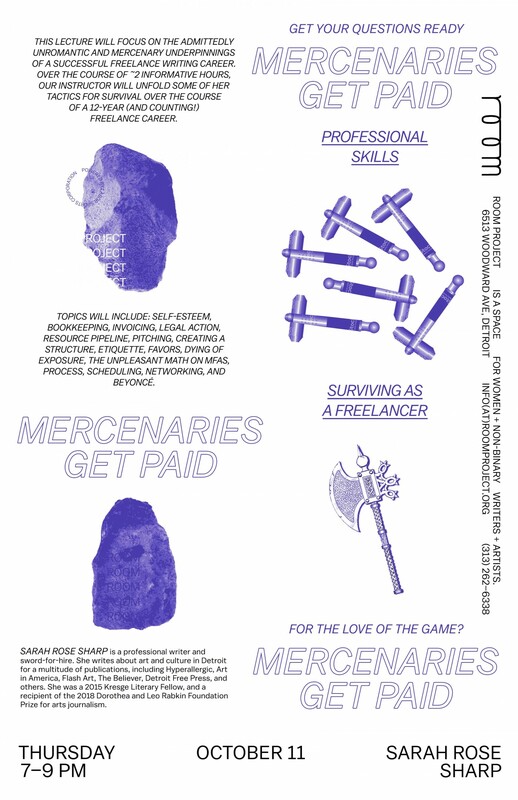 The message here is clear: freelancers are not in the fight for love of the game, dawg. We choose which battles to undertake, we come in heavy-hitting to get the job done, and we get PAID. Unless we don’t have our act together, and then we get overworked, disrespected, and stiffed. 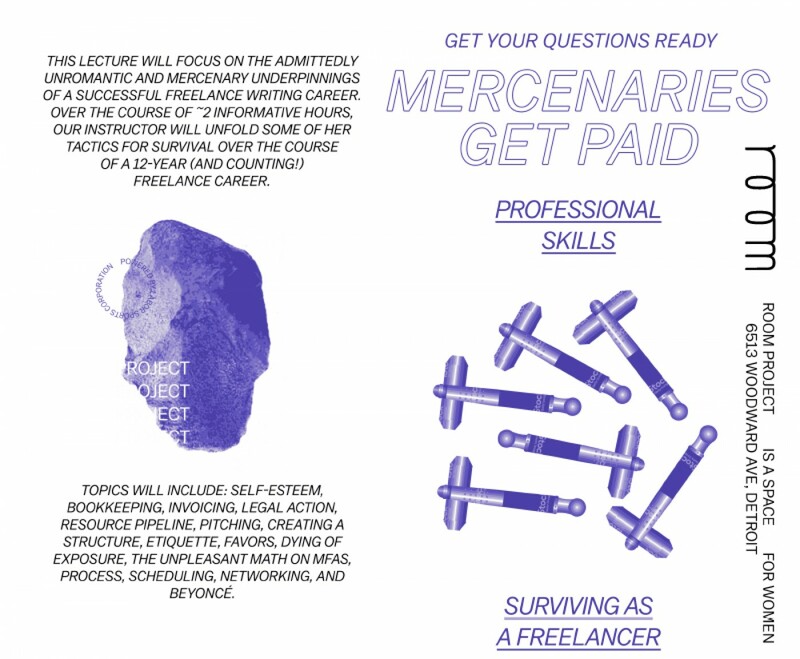 This workshop will focus on the admittedly unromantic and mercenary underpinnings that form the necessary infrastructure of a successful freelance writing career. Topics will include: self-esteem, bookkeeping, invoicing, legal action, resource pipeline, pitching, creating a structure, etiquette, favors, dying of exposure, the unpleasant math on MFAs, process, scheduling, networking, and Beyoncé. Over the course of ~2 informative hours, our instructor will unfold some of her tactics for survival over the course of a 12-year (and counting!) freelance career, and answer any questions you have about how to get started. Thank you to Room Project for the invitation to share this important info with other individuals finding their way as creative professionals. Hope to see you all there!